Not 32bit version for beta? Could you please update the version and include a build number? I intend to make a several dedicated vm's for testing this for you, but without a build number i think i will lose track on what version i am running. Started this testversion and noticed, that if I try take call from cluster, everything goes into log vindow, but rig does not follow. Using TS-590. Version 1.9.1 works in same situation. I just found the beta noticed that this bug is fixed. I downloaded and tested immediately, and indeed, it is working as expected. Thank you very much! I am running a TS590SG via USB with Kubuntu 14.04 and see no problems so far. I'll keep the beta and will report if I find a problem. And i installed the most recent hamlib (3.0 something) using my TS590sg on USB i have not noticed any weird things so far. It seems well stable! good job! p.s. do you have any area that you would like us beta testers have a good look at ? 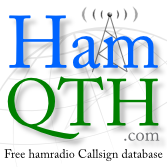 it would be great if you could test new functions added to beta released.But using it for daily QSO will help a lot. Thank you!